Which thumbnail image would most convince you to click on today’s video? The post August Favourites / Market Research appeared first on A Model Recommends. The post YSL La Laque Vault appeared first on British Beauty Blogger. 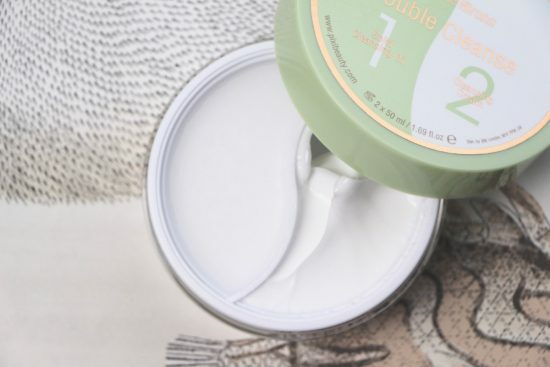 Well this is an unusual one: a moisturiser that feels velvety to the touch but seems to melt into fresh-feeling perfection the moment it hits the skin. And then, despite this gorgeous fresh feel, manages to keep oiliness in check as well as hydrate. What is this marvel of a formulation? 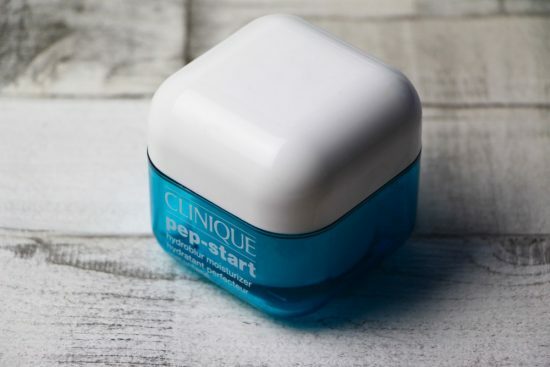 It’s Clinique’s Pep-Start HydroBlur Moisturizer! The Pep-Start HydroBlur almost didn’t make it onto my face, because for some reason I assumed that it was solely a mattifying product. Perhaps because it’s oil-free, or maybe because I spotted the word “matte” in the PR blurb, I don’t know. Luckily I’m a faffer and a potterer and I like to stick my fingers into jars and squeeze product out of tubes even if I know that the product’s unsuitable for my current skin conditions, because actually Pep-Start HydroBlur turned out to be quite the hydrating wonder cream. I mean it’s not rich – it wouldn’t sort out overly parched skin or the sort of dryness that makes you want to rub your face with a pack of lard – but it’s an excellent lightweight troubleshooter if you’re dehydrated. It’s a bit of a double whammy effort, too: great on the oil-less moisturisation front, but with a secret weapon in the form of the “blur” part. Now look, these blurring products – there’s only so much they can do. I mean, they’re clever and everything, and they do create a sort of soft-focus veil over the skin, but if you’ve blemishes then they’ll still be visible, so will redness and so will deep wrinkles. What they can do (and what HydroBlur seems to do very proficiently) is skim over fine lines a bit so that the skin just looks fresher and less knackered. The blurry part coupled with the excellent hydration part is a winning combo when it comes to plumping out and semi-disguising those crepey little creases. This makes Pep-Start a great day cream if you have oily or combination skin and want to look fresh-faced and moisturised rather than clogged-up and greasy; it’s also good if you just have “normal” skin, no oiliness, but want a light sorbet style moisturiser that will sit well beneath makeup. Pep-Start HydroBlur actually works very well as a primer, if you like to keep your skincare and makeup steps minimal and fuss-free. It’s suggested that the product can be used throughout the day for “touch-ups” over makeup, but personally I think that this type of thing can be a bit of a disaster zone. What possible benefit could you get from disturbing your makeup by slathering a cream on over the top, no matter how lightweight? I’ve tried it, it’s not for me. If you’re getting oily then use a good powder – the Hourglass Ambient Lighting ones are amazing for keeping glow but deadening down any oily shine – I just wouldn’t faff about with creams and things that need patting in. 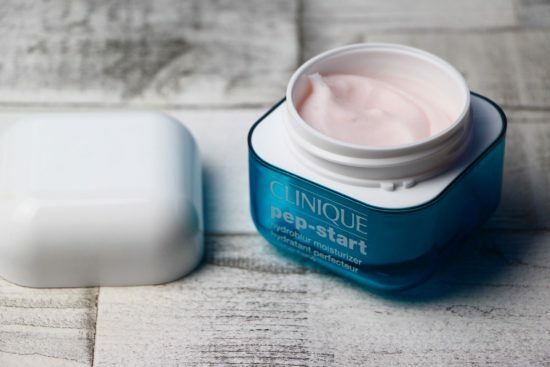 The final masterstroke when it comes to Clinique’s Pep-Start HydroBlur Moisturizer is the price – £24. Very, very reasonable I feel, especially as the texture of the product is so beautiful and the semi-matte finish so pleasing. And that hydration! It’s really rather excellent. If you’re after something to keep your oiliness in check but don’t want to look and feel as though you’ve just spent eight days in the Sahara then it’s absolutely worth a try. I suspect there’ll be some sort of online meltdown on the 10th January because – brace yourselves – that’s the day that Caroline Hirons’ first ever skincare product will go on sale. If you are an avid Hirons follower (to be honest, I don’t know of any other type – once you get started on her beauty blog you’re likely never to leave) then this news will no doubt make your heart beat that bit faster. 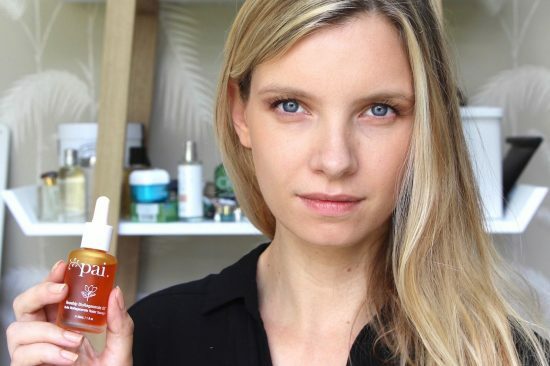 Caroline’s sharp eye for great skincare formulations and her experience in the industry mean that whatever products she decides to create will be the stuff of beauty dreams. 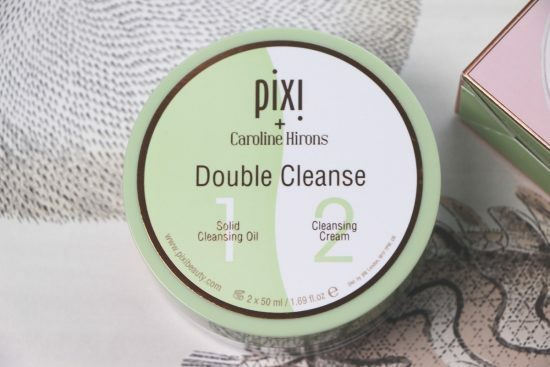 And the first, in collaboration with the increasingly popular (and really quite excellent) brand Pixi, is a stroke of genius: the Caroline Hirons Double Cleanse. Two cleansers, one pot, easy and fast-but-very-thorough cleansing with minimal fuss. If you’re reading the phrase Double Cleanse and thinking huh? then let me explain, because it’s probably something you do anyway without really putting a name to it. It is, quite simply, cleansing once (to remove makeup and break down dirt and so on) and then, after removing your cleanser with a flannel or what have you, cleansing again. (Albeit with a different cleanser, if we’re being strict about things, but I’m trying to keep things basic here!) Two cleanses. Double Cleanse. If you don’t already do this, then humour me and do a little experiment; remove your foundation and what have you with a white flannel and one lot of cleanser. Balm, gel wash, cream cleanser, whatever you usually use. Now rinse the flannel clean and go back in for another cleanse. I can almost guarantee that there will still be crap coming off and that the second cleanse will finish things off nicely.